Most readers of this blog, I would suggest, enjoy a glass of wine on occasion. If you don’t, my condolences. Writing about sustainable wine is a hobby of mine, and my wine blog allows me to go and visit winemakers all over the world. Andrew Felluga, who I interview below, points out that grape growers and winemakers should have a lot to teach other sectors of agriculture, given their profit margins and ability to experiment because of that. So for some weekend reading and listening, here’s some recent posts from www.sustainablewineblog.com that I hope might be of interest. 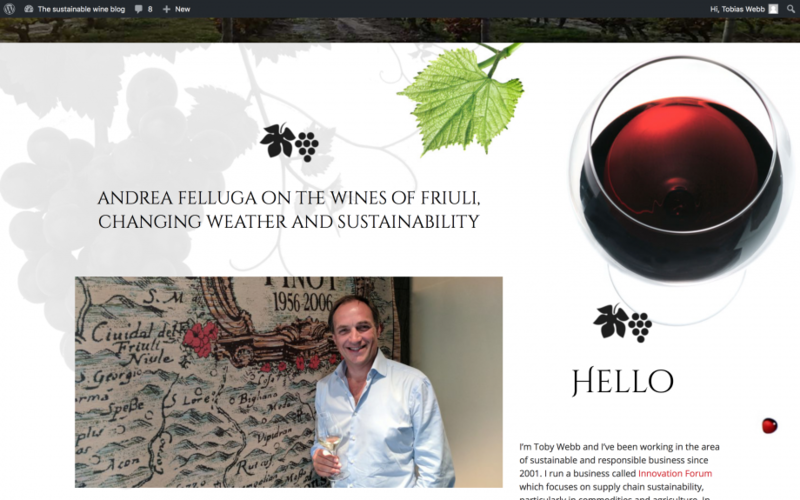 Look forward to any comments or feedback, on this blog, or the wine blog.